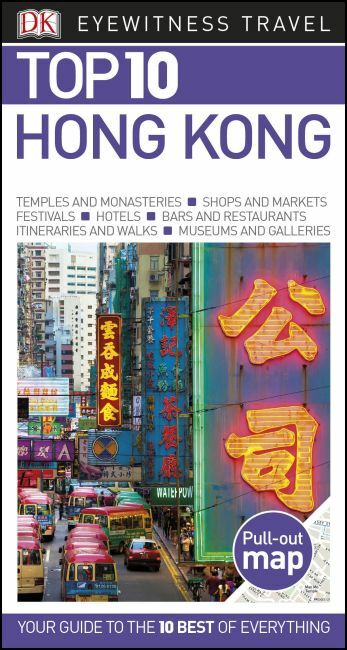 An unbeatable pocket-sized guide to Hong Kong, packed with insider tips and ideas, color maps, top 10 lists, and a laminated pullout map--all designed to help you see the very best of Hong Kong. Take the historic tram up the Peak, ride the Star Ferry between Kowloon and Hong Kong Island, join the crowds at the Happy Valley Races, explore the buzzing night markets, or browse in Tsim Sha Tsui's designer stores. From Top 10 ways to experience real China to Top 10 things to do for free--discover the best of Hong Kong with this easy-to-use travel guide.